Pure Mineral Water from the Three Peaks Naturepark, Conservation Reserve, Sexten Dolomites, Italy, & Oxygen. 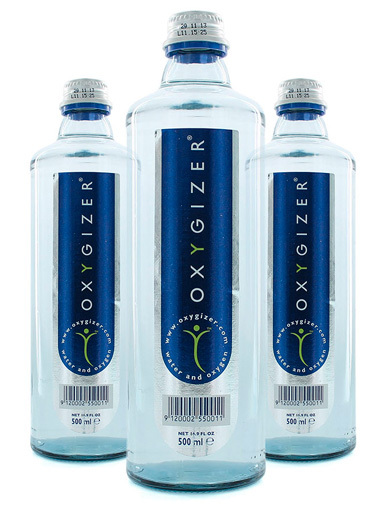 Packaged in award winning stylish glass bottles, innovative, refreshing and effective. The fizzy look is deceptive. The bubbles are the oxygen shower and the taste is that of a still mineral water. We combine the two elements into a crystal clear unity and guarantee highest quality. This is quite unique so "you will never run out of breath”.